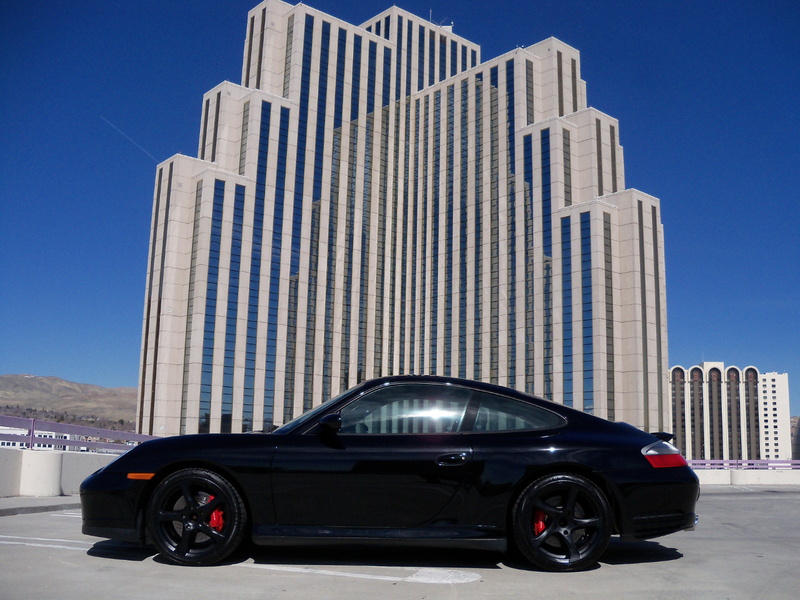 You are viewing a beautiful black 2004 Porsche 911 Carrera 4S coupe. 3.6 L engine air cooled opposed engine and a six speed manual transmission. This car only has 24643 miles on it. It has power windows, power steering, power brakes, AM/FM/CD stereo, tilt wheel, 4 wheel ABS, dual air bags. This is a west coast car, originally owned in California. Although it has a Lemon Law Title, which occurred in 2006, when the vehicle was reacquired by the manufacturer to promote customer satisfaction. The car has since had two other owners who have had no problems with the car. We do have a Carfax on the car. It runs and drives well. Please feel free to call with questions.